This fragrant root finds its herbology origins in ancient China and India. Some estimate that up to half of Chinese herbal medicines contain ginger because it buffers the effects of more potent herbs. 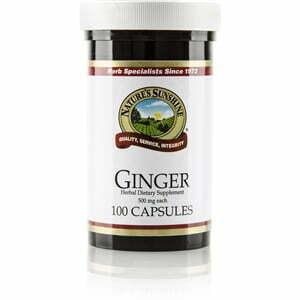 Also used as a tea, ginger’s health benefits include digestive health, alleviation of nausea, and prevention of motion sickness. 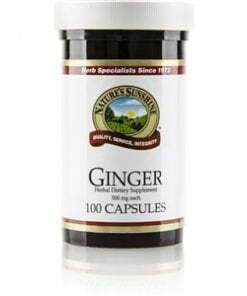 Nature’s Sunshine Ginger comes in 500 mg capsules of ginger rhizome.